Fans of this blog may have seen a few of these pictures before. However, as the date for publication of Ghost Towns of Route 66 draws closer and as Ghost Towns of the Southwest http://rcm.amazon.com/e/cm?t=1968adventurer&o=1&p=8&l=bpl&asins=0760332215&fc1=000000&IS2=1&lt1=_blank&m=amazon&lc1=0000FF&bc1=000000&bg1=FFFFFF&f=ifrcontinues its advancement towards sell out of the second printing, I thought you might find a few shots from our favorite ghost towns of interest. 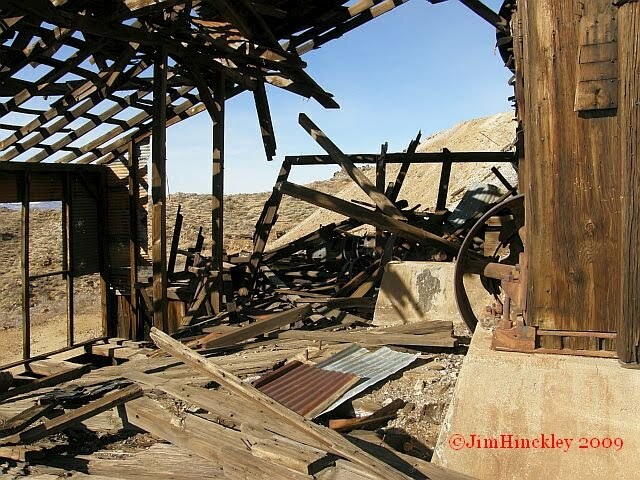 These first photos were taken during the research stage of Ghost Towns of the Southwest. They exemplify the broad definition of the word “ghost town” and clearly illustrate the lure these places have for the adventuresome traveler. Bisbee, Arizona – a true time capsule from the late territorial period. Bisbee, located a few miles south of Tombstone is a true gem. Most of the historic section of town appears as an untouched time capsule. This is especially evident during the early morning hours when the streets are empty. Ruins of a mill high in the mountains above Cerbat, Arizona. This photo is available as a print. No visit to Bisbee can be considered as complete without a stay at the historic Copper Queen Hotel. With but the faintest nod to the modern era this stately old hotel embraces visitors with a charm and elegance that instantly soothes and comforts the weary traveler. The next town on our list is Cerbat, Arizona. Nestled deep into a rugged canyon in the Cerbat Mountains, the town of Cerbat was once a community with a very promising future. For a short period of time it served as the Mohave County seat. The boom times lasted for less than twenty years, roughly 1875 to 1895. Mines operated in the area from around 1860 until well into the 20th century. Little remains of the town itself with the exception of faint foundations buried in thickets of mesquite. However, vestiges of the rich mining history abound. As a result it is imperative the visitor be alert to open shafts and collapsed stopes. I will continue the ghost town theme with the next posting. 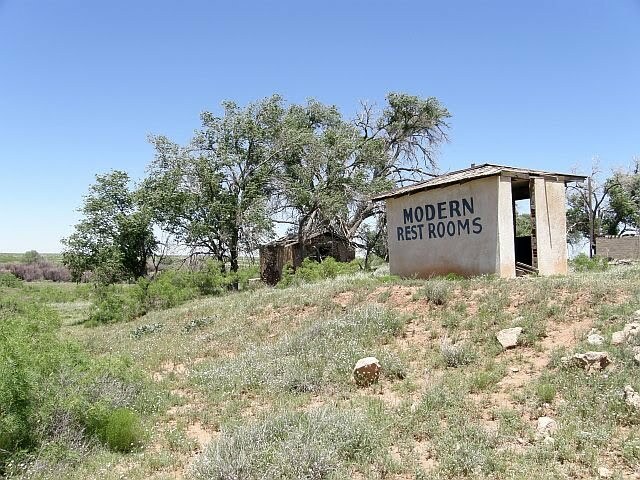 To whet your appetite here is a little comic relief from Endee, New Mexico, a ghost town located about five miles west of Glenrio, Texas on a section of Route 66 bypassed in about 1952.